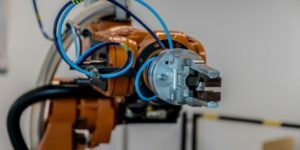 Pew research tells us that even though there is a fast uptick in automation, over 70% of American's are still wary and concerned about robots in our workplace replacing American jobs. Join us at the next Gears & Gadgets Minnesota event, featuring a panel of manufacturing business owners and robotics experts who will discuss the role of robotics/automation and provide valuable insights from their own experiences. A few more awards or plaques on the wall never hurts, but more important to us is the consistency in which we serve our clients’ interests. 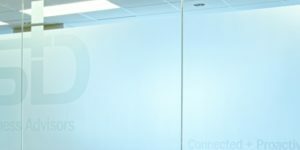 As a member of the Twin Cities business community for 60+ years, we strive for the best client service experience possible by being connected, proactive and accessible. 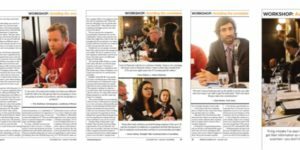 Jon Cassens, Princpal of DS+B, was again one of several panelists for the Upsize Growth Challenge on October 22nd at the Minneapolis Club. 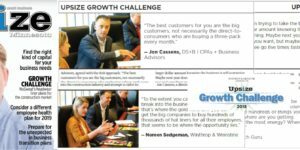 The Growth Challenge matches two business owners with expert advice they need to reach their business growth goals. Club E members in attendance also had an opportunity to ask the owners, and panelists, their questions. Below is the story of NoSweat, a fast growing privately held business, from the October 2018 issue of the Upsize Minnesota article that featured Jon. DS+B Managing Principal Sean Boland, CPA, was recently quoted in Accounting Today's article, "Voices: What Young Leaders Wish They Had Known." 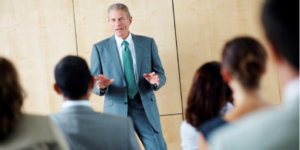 On July 18th, DS+B welcomes the Finance Leaders Alliance Group for an educational presentation on how to prepare your business and leadership team. Topic: The accounting rules for revenue recognition and leases have changed. The new standard will take effect January 1, 2019 for privately held companies - that's right around the corner! Now is the time to dig in and start getting up to speed. DS+B is proud to be a sponsoring partner of Gears and Gadgets, hosted by Minnesota Manufacturing Executives, which provides business owners and executives with informative presentations on latest trends, networking and peer collaboration for a strong manufacturing presence in Minnesota. 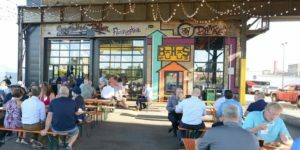 Join us on July 17th for the 4th annual summer social event "Brews & BBQ" at Bauhaus in Minneapolis. For the third consecutive year, our team is honored to earn the "Best of Accounting" Award as industry leaders in service quality, based completely on the satisfaction ratings given to us by our clients. 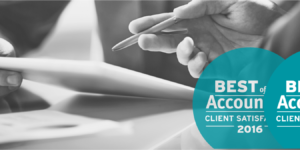 We are committed to being connected, proactive and accessible to our clients' business and personal needs - and continually work to provide the best service experience possible. Education Event: The Accounting Rules Have Changed – Is Your Business Ready? The accounting rules for revenue recognition and leases have changed. Is your business ready for its impact on the financials, bank covenants and lease contracts? 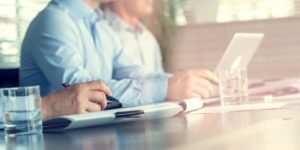 The new revenue recognition standard will take effect January 1, 2019 for privately held companies - that's right around the corner! Now is the time to dig in and start getting up to speed. On May 2nd, join DS+B for an educational presentation for business owners on how to effectively prepare your business and leadership team. Join DS+B’s Healthcare Team on May 15th for a roundtable discussion on physician recruiting, with guest Alex Herbison of Merritt Hawkins, for an interactive presentation on the market, best practices and strategies you should consider in 2018 and beyond. To help you make sure you don’t miss any important 2018 deadlines, here is a summary of when various tax-related forms, payments and other actions are due. 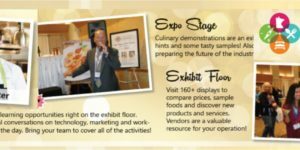 Jon Cassens, CPA was among several presenters at the 2017 Hospitality Minnesota Conference & Expo in St. Paul, Minnesota. His presentation was titled: "Fast Management: Save Hours on Your Accounts Payable + Know Your Cash Flow." DS+B is proud to support a great Minnesota Subcontractors Association event and hope you had a good time. If you took part in our "CPA Chip Challenge", check here to see if you are the winning participant! DS+B's healthcare team is proud to be nominated, and recognized as a finalist in the category of "Excellence in Professional Services" for the 2017 Innovators in Health + Wellness Awards, hosted by Minnesota Business magazine. This annual tribute to the excellence of the companies and people that make up Minnesota’s world-renowned health care industry. “We look forward to honoring a wide range of med-tech, wellness and health care companies based in Minnesota,” says Minnesota Business. DS+B is proud to announce we have won Inavero’s Best of Accounting™ Award for providing superior service to our clients for the second consecutive year. 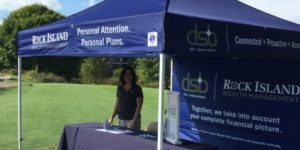 DS+B is proud to support another great MPMA event and hope you had a good time at the 33rd Annual MPMA Open Golf Classic at Bunker Hills Golf Course. Here are the winners of the drawing! DS+B and Rock Island Wealth Management are proud to be a sponsor of the RMHC Upper Midwest Golf Classic once again in 2017. Great to see clients, friends and associates out for a great cause. Sean Boland and Mitch Stolba were in full swing as charity competitors. Jon Cassens, Max Judd and Noah Vannevel provided food and beverages to golfers at our sponsored snack stop. Recap: Cyber Security for Manufacturing Businesses – How Valuable Is Your Company? On May 3rd DS+B sponsored"Cyber-security for Manufacturing: How Valuable Is Your Company?" With Cyber-crime costs projected to reach $2 trillion by 2019 (Forbes) defending networks from cyber-attacks is no easy task. The panel of cyber security experts discussed the technical, legal, and financial implications of a cyber-attack. Recap: Gears & Gadgets | U.S. Economic Indicators for Manufacturing: Headwinds or Tailwinds? Business owners want to know: Where is the economy headed so I can plan? 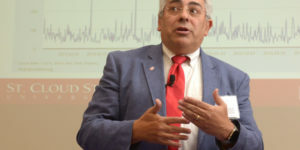 Economist King Banaian, dean of the School of Public Affairs at St. Cloud State University, gave a presentation focused on key manufacturing industry trends as well as how they fit into the larger Minnesota, U.S., and Global economic picture. At November’s Club Entrepreneur workshop, Jen Verly will once again join a panel of business advisors to discuss common mistakes that derail successful companies. 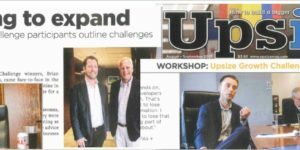 The workshop, co-presented by Upsize Minnesota Magazine will help companies with all facets of the growth challenge, and introduce specialists and experts who can serve as trusted resources. DS+B Healthcare Team Presenting at HCAA in Las Vegas and Attending the MGMA Annual Conference in San Francisco. 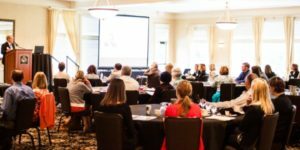 Libby Hornibrook, Gary Cavett and Annette Dunn will present to leading healthcare advisors and CPAs on Revenue Cycle Management, including case studies and results for physicians and administrators, at the HCAA Conference. The National CPA Health Care Advisors Association (HCAA) is a nationwide network of CPA firms devoted to serving the healthcare industry. 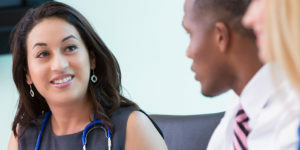 Members are selected for their experience and ability to provide proactive solutions to the accounting needs of physicians, physician groups and dentists. October 12 | The next Gears and Gadgets event, hosted by Minnesota Manufacturing Executives, will feature a panel discussion made up of the winners and finalists of the Minnesota Business Magazine's "2016 Manufacturing Awards." Business leaders and innovators in the manufacturing industry will share their stories. The Best of Accounting Award winners are proven industry leaders in service quality based completely on the ratings given to them by their clients. 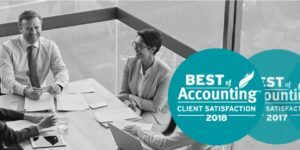 Fewer than 1% of all accounting firms in the United States and Canada have earned the 2016 Best of Accounting Award for providing remarkable service quality. From everyone at DS+B, congratulations to Kowalski's Markets, winner of the 2016 Entrepreneur of the Year, Upper Midwest in the retail and consumer products category. 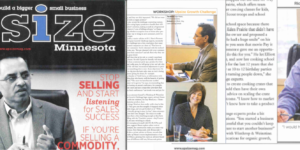 Owner Mary Anne Kowalski and COO Kris Kowalski Christiansen were profiled in the August 2016 edition of the Twin Cities Business Magazine, which co-produces the award and event held in Minneapolis / St. Paul Minnesota. The hospitality duo of Libby Hornibrook and Annette Dunn enjoyed meeting other MMGMA members and providing refreshments at the MMGMA Golf Outing on July 27. Gary Cavett and Mitch Stolba joined with other members to play in the tournament as well. DS+B is proud to be a Gold Sponsor and longstanding member of the Minnesota Medical Group Management Association. 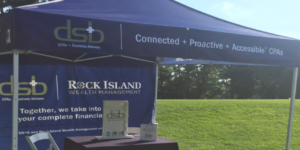 DS+B is proud to support another great MPMA event and hope you had a good time at the 32nd Annual MPMA Open Golf Classic at Bunker Hills Golf Course, on July 12th. If you took part in our “CPA Chip Challenge”, click here to see the winning names. DS+B is proud to be a sponsoring partner of Gears and Gadgets, hosted by Minnesota Manufacturing Executives, which provides business owners and executives with informative presentations on latest trends, networking and peer collaboration for a strong manufacturing presence in Minnesota. Registration for the July 19th event is now open! Great to see clients, friends and associates out for a great cause at the RMHC Upper Midwest Golf Classic again this year. Sean Boland and Mitch Stolba were in full swing as charity competitors. Jon Cassens, Max Judd and Joe Jensen provided food and beverages to golfers at our sponsored snack stop. All tallied, RMHC Upper Midwest generated over $190,000 for families in need! An amazing outcome....and a 40% increase above 2015! 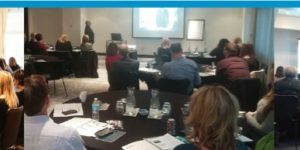 HMES: A collaborative series of educational events that equip your management team with a blend of financial, operational and compliance guidance to clarify complex healthcare industry challenges and accelerate growth in your medical practice. 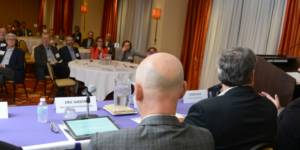 Top MGMA presenters and experts from across the country are brought to Minneapolis in order to lead a discussion on best practices for independent medical practice management. Better data, better decisions. If only it were that easy. But by the end of this session, you will learn how to generate the type of business intelligence that keeps the Key Performance Indicators (KPIs) of your medical practice in front your management team. Easy access to your information will open up new conversations to improve operations and profit. Larry Gamst was recently featured in the Minneapolis / St. Paul Business Journal as part of a newly-formed advisory board. Larry joins a distinguished list of metro business leaders to bring local perspectives and business connections to help the financial services group build its Twin Cities presence. 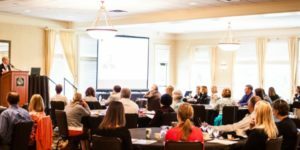 HMES is a series of educational events designed to blend financial, operational and compliance guidance to clarify complex issues and accelerate growth in your medical practice. 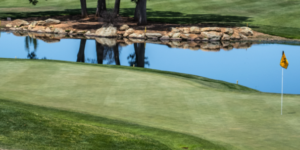 Featuring nationally-recognized presenters, local expert panelists and interactive discussions for CEOs, CFOs, Administrators and physician shareholders. DS+B is growing and adding professionals with expertise in accounting, analysis, tax and business valuation services for its privately held business clients. We are excited to introduce several team members who were recently mentioned in the MSP Business Journal's "People on the Move"
In 2015, DS+B completed its latest Peer Review as required to be in compliance with the AICPA. The results were no Matters for Further Consideration (MFC), and no Findings for Further Consideration (FFC), the highest rating a firm can receive. WASHINGTON — The Internal Revenue Service today reminded taxpayers who receive requests from the IRS to verify their identities that the Identity Verification Service website, idverify.irs.gov, offers the fastest, easiest way to complete the task. Taxpayers may receive a letter when the IRS stops suspicious tax returns that have indications of being identity theft but contains a real taxpayer’s name and/or Social Security number. Only those taxpayers receiving Letter 5071C should access idverify.irs.gov. Sean Boland will be one of the panelists during the next UPSIZE Magazine / Club Entrepreneur luncheon on March 26 at the Minneapolis Club. 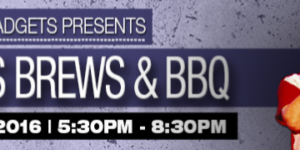 Topic: What small to mid sized business owners need to know about mergers and acquisitions, best practices to maximize your business value when it’s time sell, and how to engage effective buyer side due diligence to get the best deal possible. A few more awards or plaques on the wall never hurts, but more important to us is the consistency in which we serve our clients’ interests. 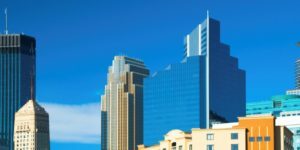 As a connected member of the Twin Cities business community, we work to create, grow and preserve wealth for many businesses and individuals. In this way, our firm and people have grown with our clients since 1950. We’re gearing up for another great year, and happy to welcome our newest team members to DS&B: Ara Seo, Elizabeth Imm, Kody Schantzen and Vincent Chang! DS+B is a long-standing member of the Minnesota Petroleum Marketers Association. The MPMA provides its members up-to-date regulatory and business insights on alternative energy, c-store business management, finance, government affairs and PAC, environmental and transportation safety. In recognition of her great work and dedication to client service, Libby Hornibrook was mentioned today in the Minneapolis/ St. Paul Business Journal’s section “People on the Move.” Excited as well to have the healthcare expertise of Annette Doebler added to our team – congrats to you both! DS&B is proud to sponsor the SCORE introductory workshop to “Simple Steps for Growing Your Business.” The remaining free session is on October 25. For more information and to register, log on to www.minneapolis.score.org. This free SCORE introductory workshop to “Simple Steps for Growing Your Business” is designed for small business owners already in business and wanting to learn what it takes to grow further. It provides small business owners and managers the knowledge and tools they need to analyze, assess and grow their venture. The DS+B team of Patrick Maloney (presenting), Kathy Kirkeby and Jerry Riegel were co-sponsors of the MNABC Breakfast and Education – “How to Entice, Retain and Motivate Employees.” In partnership with Mid American Financial Group, the presenters outlined some out-of-the-box methods to give construction and contracting business leaders some additional strategies to retain/hire employees in this competitive construction labor market. Increasingly we have clients contacting us regarding aggressive telephone calls received from parties identifying themselves as from the Internal Revenue Service. Telephone scam artists are hard at work calling from sophisticated call centers threatening bank accounts levy or imprisonment and demanding immediate payment. Congratulations to our friend and colleague Jon Cassens in recognition of his great work and dedicated service to clients. A great event for a great cause is one week away. The DS+B franchise team will be there to support the Ronald McDonald House Charities, Upper Midwest. Keeping our clients up to date with changes in the healthcare industry is job #1 for our team of healthcare accountants, tax experts and consultants. Great to see many familiar faces at this year’s Minnesota Medical Group Management Association Winter Conference in Minneapolis. The first issue of the 2014 Minnesota Precision Manufacturing Association Scratchpad is out. Congratulations to In’Tech, a finalist for the 2013 Manufacturing Awards by Minnesota Business Magazine. Each finalist will be profiled in the October 2013 issue. 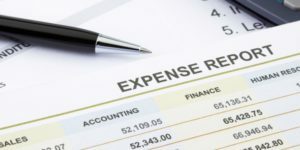 Which Employers Must Pay the New “PCORI” Fee Due July 31? The Affordable Care Act imposes a little-known new fee on certain employers and health insurance companies. The first payments are due on or before July 31, 2013. Gary Cavett, Health Care Consultant at DS&B, will be introducing Frank Cohen during his keynote presentation at the 2013 Minnesota Medical Group Management Association’s Summer Conference. The presentation will be on Thursday July 25, and Frank will be presenting “It’s OK to be Lucky When You’re Lucky: Evidence-Based Management in Healthcare”. 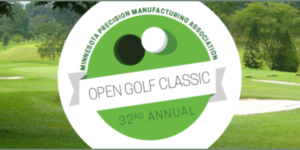 Clint Seehusen, Principal at DS&B, making the rounds at this year’s Minnesota Precision Manufacturing Association Open Golf Classic at Tartan Park. Great day out with fellow manufacturing industry owners, professionals, business associates and friends of MPMA. The bombshell July 2 announcement came in the form of a blog post on the U.S. Treasury Department’s website, accompanied by a statement from the White House. The employer “shared responsibility” or “pay or play” provision is being delayed one year, until 2015. 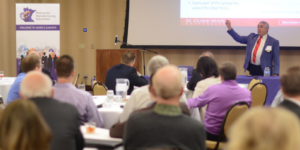 I recently attended the 2013 Health Law Institute Minnesota Continuing Legal Education two-day seminar. One of the topics covered was “Significant New HIPAA Developments – A Report from the U.S. HHS Office of the General Counsel.” Jerome Meites from the Chicago HHS office of the General Counsel spoke on this topic. Congratulations to Nicole Middendorf of Prosperwell Financial as winner of Entrepreneur of the Year at the 2013 TwinWest Chamber of Commerce Small Business Awards Luncheon. Also recognized was Noah Rouen of The Rouen Group as Emerging Entrepreneur of the Year. 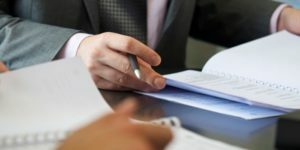 The IRS released data showing that overall audits were down in fiscal 2012 to 1.03 percent of all tax returns filed, as compared with 1.11 percent the previous year. However, audits of all types of businesses went up. In his latest State of the Union address, President Obama called for new manufacturing initiatives as a way to “bring jobs back home.” The president outlined, in general terms, the use of manufacturing hubs to coordinate efforts based on technological advances. The IRS is always skeptical when individual taxpayers claim deductions for bad debt losses. The reason: losses from purported loan transactions are often from some other type of deal that went south. For example, the taxpayer might have actually made a contribution to the capital of a business entity that turned out to be a loser.